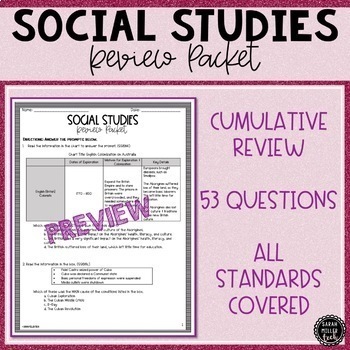 Your students will love this review packet! It's aligned with Georgia's new GSE standards. There are charts, diagrams, and maps that are high rigor and engaging. You'll love that it's standards-based AND that it’s print-and-go! 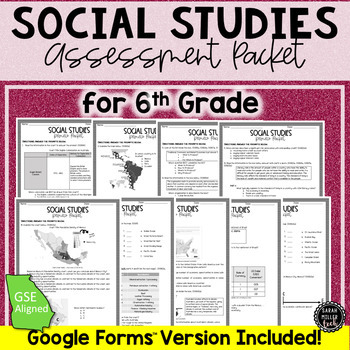 This product includes 53 questions that cover EVERY standard included for Georgia's 6th grade social studies (GSE), plus each question is labeled with the standard. Answer key is included. 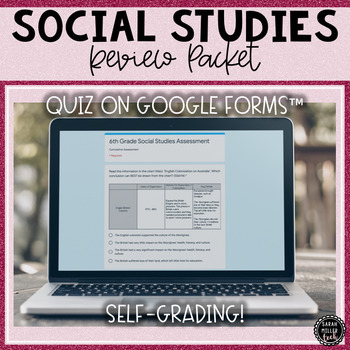 This review packet could even be used as a summative assessment! This resource is NOT editable. However, if you have any items to add or questions about this resource, please email me at sarahmillertechnology@gmail.com or "Ask a Question" on TpT, and I'll be glad to fit your needs as best as possible. These standards and resources align with Georgia Standards of Excellence, but can supplement many state standards. 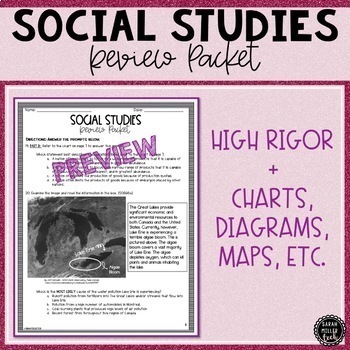 Want more resources for Social Studies? Check these out! Don't forget to leave feedback! I love hearing it, plus you will earn TpT credits towards a FREE product!